This is a nice, standard, no pocket polo shirt. Choose either a large or small design. 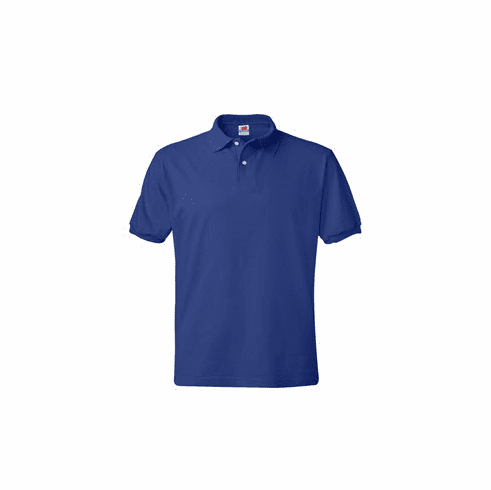 Small design sewn on upper left chest of shirt, large design sewn on back of polo. Sorry, 4xl is not available in kelly green, light blue, or pale pink.